Blog > FAQ > When Do Cockapoos Stop Growing? The cockapoo is a delightful dog, one that makes an ideal pet for a family. Before you buy any dog, however, you should research the breed carefully and learn everything about it that you can. Of course, that’s what we’re here for! One of the most important factors when choosing the type of dog you want is to consider the size of the space you live in. A large breed in a very small apartment, for example, is not going to be comfortable for either you or the dog. The cockapoo, being a smaller breed, suits most types of accommodation, and will be happy in a family environment. A question that is often asked by potential cockapoo owners – and by all sensible dog owners – is that of how big it will grow, and how long does it take to reach full size? Let’s see if we can answer that question, and perhaps a few other important points as we go along. How Big is an Adult Cockapoo? To answer this question it is important to know the type of cockapoo you are looking at. You didn’t know there was more than one? A lot of people don’t, and that’s another reason research is important! It’s also essential to know that where cockapoos are concerned, there is not a standard size. With pedigree breeds the dogs are bred to a standard – an agreed size that is the maximum for that breed – but a cockapoo is a mixed breed, so you can only rely on a guideline. What can help you is that there are four categories of cockapoo sizes: Standard, Miniature, Toy and Teacup – listed there in descending order. All cockapoos are bred from a poodle and a cocker spaniel parent, yet both of those breeds also have various sizes. Poodles come in Standard, Miniature and Toy sizes, while Cocker Spaniels also come in a large and small size. Teacup – height of under 10” and less than 6lb in weight. These figures – all averages – should give you a good idea as to the type of dog that would suit you best. Teacup cockapoos are usually bought as lapdogs – as are the toy dogs – yet they still need plenty of exercise. The miniature and standard cockapoo is an energetic animal and, as we have talked about elsewhere, needs a good deal of outdoor exercise on a regular basis. It is not common to see a teacup cockapoo in the UK – they tend to be more popular in the USA – so you are most likely looking at one of the other sizes. To sum up this section, you need to consider the size of your living area, as well as how you will be spending time with the dog, and always find a reputable breeder and talk to them in advance about the best dog for you. How Fast Does a Cockapoo Grow? If you are set on bringing a cockapoo you will have already investigated the breed in order to learn as much as you can, and we have talked above about how large your dog will grow. Now let’s talk about how quickly that little ball of fun you take home from the reputable breeder will grow into an adult dog! The truth is that smaller dogs do take less time to reach their full size. That’s because there is a lot less growing to do than for larger dogs! The problem with the cockapoo is, as with size above, there is no standard as it is a mixed breed dog. The length of time it will take to reach maturity – the point at which it will grow no further – is therefore influenced by the parent dog. If you are sensible you will have chosen a dealer and asked to visit. There, you will get to meet the parent dogs, so you will know the breed that your cockapoo puppy will be influenced by. So, although there is no set standard – in other words we cannot say for certain how long your cockapoo will take to grow to full size – a useful average is that a standard cockapoo bred from a standard poodle parent will reach maturity in around 9 months. That’s not a long time, is it? Of course, you will not notice it happening until one day you suddenly realise that the tiny puppy that you once handled is now a full-grown dog, demanding playtime every hour of the day! Being a mixed breed, even the most reliable and reputable of breeders cannot guarantee the size of the puppies in the litter. 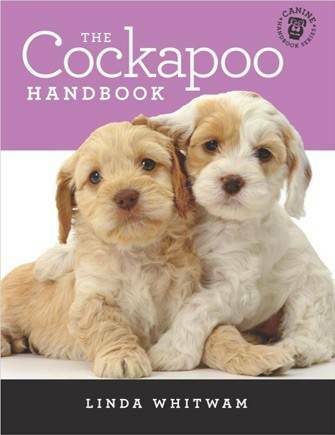 You may find you have a small standard cockapoo or a large one, or a small or large miniature. The breeder will do their best given past litters, so you will have prior ideas. By the way, make sure you choose a breeder that is approved by and registered with the Cockapoo Club of Great Britain (CCGB) – there’s a full list (as at the time of writing) of registered breeders here – as that will ensure you are dealing with the right people. 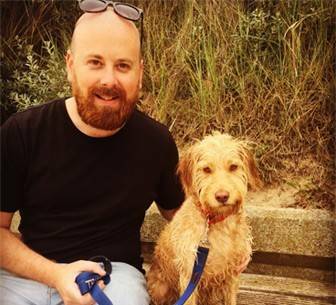 If you talk to a few breeders in advance of making a decision you may find that one has the perfect parent dogs for your preferred size of cockapoo, so we advise you visit the list, find those that are within travelling distance, and get in touch right away. Remember, you are investing in a cockapoo that is not just a pet, but that will become part of the family, so prepare for many years of fun and enjoyment!